GANGNEUNG, South Korea — There’s no Cold War intrigue, no “Miracle on Ice” in the making, no chance of relishing the best players in the world. 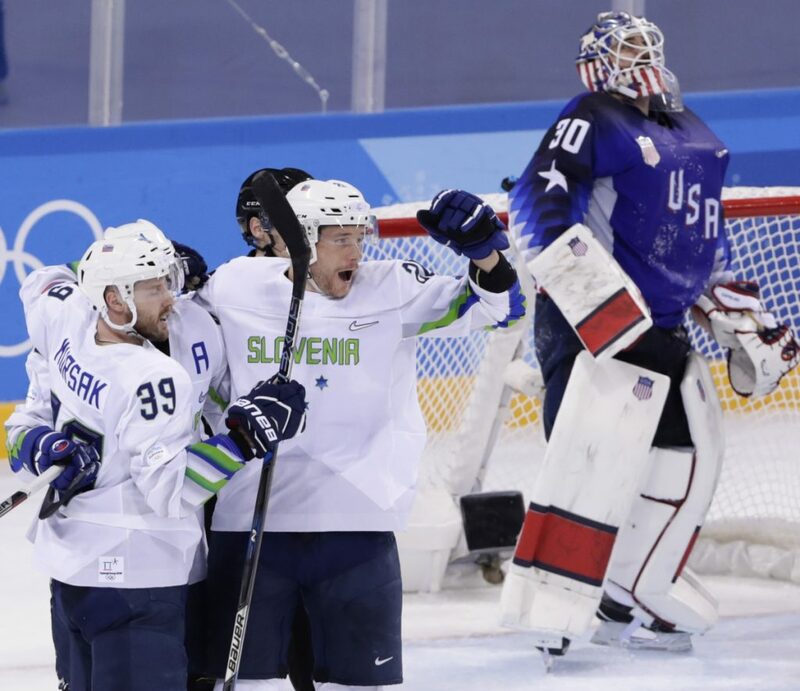 Men’s hockey is in limbo at these Winter Olympics. It could’ve passed for a midweek game in the American Hockey League. That attitude carried over to those on the ice. Hey, it’s not their fault the NHL isn’t here. When the Soviets dominated Olympic hockey in the pre-NHL era, they revolutionized the game. The Big Red Machine was a ballet on ice, darting and weaving with stunning symmetry, always looking to make the extra pass. It was hockey at its best – yes, even better than what you’ll find in today’s NHL. At Lake Placid in 1980, a team of American college kids somehow knocked off this mighty dynasty, a triumph of such monumental proportions that it lingers to this very day as the “Miracle on Ice,” an improbable tale passed down through the generations by people who wouldn’t know the difference between a puck and a pancake. After the Soviet Union collapsed, the NHL stepped in to fill the void in 1998. Olympic hockey entered a new, more balanced era, with every nation having access to the world’s best players. Sure, Canada had more talent than anyone, but the Czech Republic and Sweden managed to win gold medals for the first time. Some may have missed the charm of the amateur era, but the big-money professionals produced one of the most memorable Olympic finals at the 2010 Vancouver Games. Canada’s Sidney Crosby scored the gold medal-winning goal in overtime, setting off a national celebration in the birthplace of hockey after the United States tied the game in the waning seconds of regulation. Unfortunately, when the NHL owners demanded a bigger piece of the financial pie, they ran up against a group that’s just as greedy as they are: the International Olympic Committee. Really, nothing more than a mediocre gathering of has-beens, never-weres and maybe-somedays. Less than a third of the 300 players have gotten any ice time in the NHL. The U.S. roster is composed mostly of players from five European leagues (all of which, unlike the NHL, shut down during the Olympics), augmented by four college players, three minor-leaguers and another guy currently between jobs. Frankly, the NHL owners never seemed all that keen about taking another 21/2-week break so their players could go halfway around the world to compete in South Korea. In a country with little regard for hockey, it was hard to envision a whole lot of opportunities for expanding their commercial footprint. While China is hardly a hockey hotbed, the NHL would love to make inroads in the world’s most populous nation. Back in September, Los Angeles and Vancouver played a pair of preseason games in Shanghai and Beijing. The league will be back again next season, and it’s a pretty safe bet that the NHL will return to the Olympics in 2022.